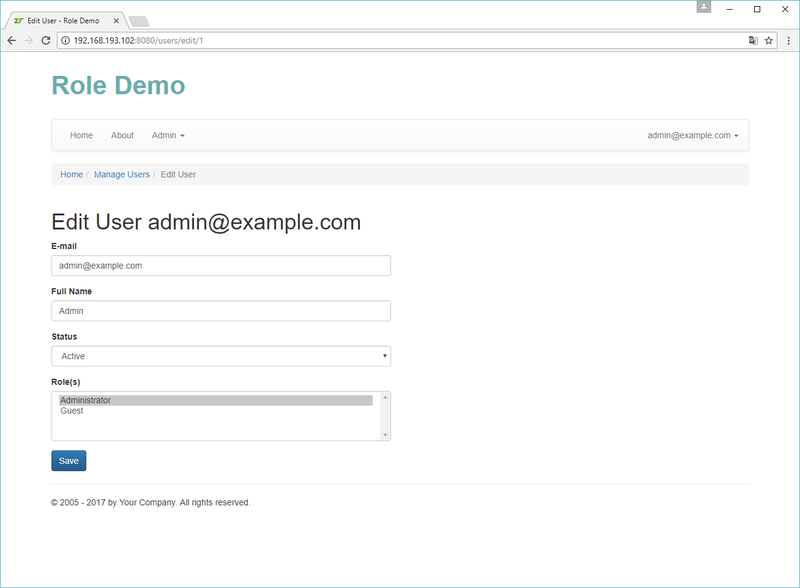 In the Role Demo website, you can assign roles to a user via the convenient user interface. Open the Admin -> Manage Users menu and click Edit on the user of your choice. On the page that appears, select the roles you'd like to assign to the user and click the Save button. This functionality contain nothing new and special, so we will skip its detailed discussion here and will just provide a screenshot of the user interface below.